I was going to have this posted yesterday, but it was a long day and I didn’t want to write a post that looks crappy, but anyway as promised here is an exclusive first look at the English dub of Naruto Shippuden. As most of you Naruto fans already know, Naruto Shippuden picks up where the original series left off in which Naruto returns to the village hidden in the leaves after embarking a two and a half year training journey. The series features all your favorite characters including Lady Tsunade, Kakashi Hatake, Jiraiya the toad sage (Aka, The pervy sage), and Sakura Haruno just to name a few. We find out what has happened to Naruto over those past few years and we also get so see some great and some funny moments that you guys will remember from the original series. After watching the premiere on Wednesday, I feel that the English dub of this series is excellent. Though many of you out there will probably disagree with me saying that the Japanese dub is better, keep in mind that the cast who is doing the series is the same cast that did the original series so you’ll still get the same quality of voice acting that you come to know so well. Keep in mind that their are some interesting parts within the first four episodes of this series, I will be fair to those who haven’t seen it yet and I will not tell you what happens. Overall this is an excellent start and I cant wait till next week to see what happens. Currently Viz media has released the first eight episodes on DVD which they are available now at your favorite retailers, they can also be downloaded via the itunes music store for $1.99 per episode or you can get a season pass for $22.99. You can also watch full episodes of the series for free on hulu, joost and other online video services. But for those of you who missed out on the premiere on Disney Xd on Wedensday night, the episodes are being rebroadcast tonight at 10:00pm EST\9:00pm CST. And don’t forget that new episodes will premiere every Wedensday at 8:30pm EST\7:30pm CST on Disney Xd. So now that I shared my thoughts on the premiere, I would like to hear what you guys think. Share with me your opinions by leaving a comment here at Anime Full Circle or on our official facebook page. You never know, you comments may end up in a future post. That’s all for now, so until next time. Remember that their is a ton of great anime and manga out there, all you have to do is find it. Ltrs. Since Halloween is only a few days away, I have decided to post an amv in which shares the spirit of this day for this edition of anime remix. This amv features pictures of various anime’s with a gothic tone. The music in this video is from Evanescence with their hit song Bring Me To Life. On a little side note, originally I was going to post the popular video known as ‘The Sailor Moon Transformation” But it was almost ten minutes long, and trust me you would be bored to tears!!!!!!!! But anyway enjoy the video and I will talk to you guys again soon. Ltrs. Meiji University in Japan has recently announced plans to establish a library devoted to anime, manga, video games and other items related to anime and manga sub-culture. The library to be called “The Tokyo International Manga Library” has scheduled to be completed by the year 2014. The library plans to hold over 2 million items related to anime, manga, video games and much more. I think that this is a very interesting idea. You could say that if their was a place in heaven for Otaku, this would be it. Hopefully when it is completed, I would like to go take a visit and see what they have collected over the years. It would not be just an educational experience for me, but it would be a fantasy come true. Ok, I better wrap this up before I get too carried away LOL!!!!!!!!!! But anyway, that wraps up this edition of the week in anime. So until next time, remember that their is a ton of great anime and manga out there. All you have to do is find it. Ltrs. 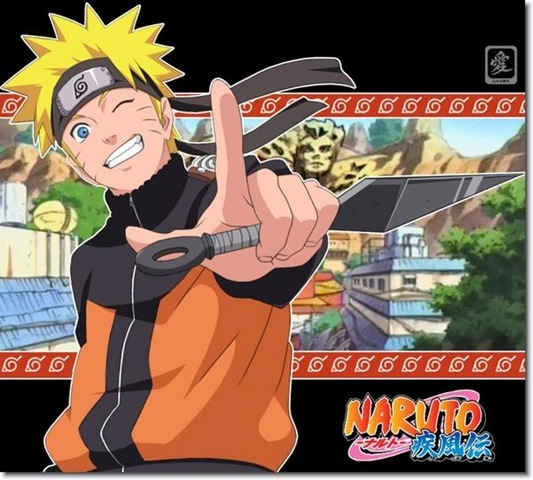 A while back we reported that the cable channel Disney XD had picked up the rights to air Naruto Shippuden in the U.S. 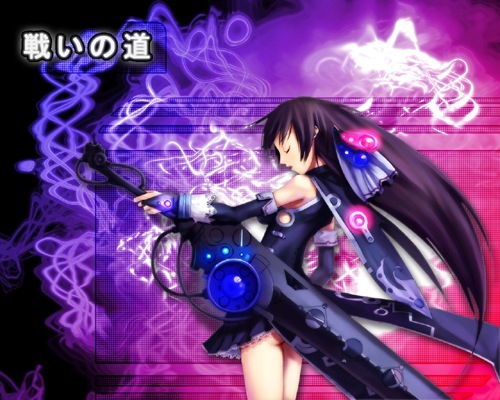 It was stated that the series would begin airing around October, but no official date was confirmed. However, Disney XD officially announced that the series will premiere one week from today on October 28 at 8:30pm eastern\ 7:30pm central. Disney XD will be airing the first four episodes of the series on this day with new episodes airing every Wednesday at 8:30pm after the premiere week. Guys, it has been a long time coming, but be patient. We still have a week before it premieres, and trust me, it will defiantly be worth the wait. That’s all for now, so until next time. Remember that there is a ton of anime and manga out there, all you have to do is find it. Ltrs. P.S. Stay tuned for next week because I am going to be sharing my opinions on the premiere in a special edition of Afc First Looks. And trust me, you won’t want to miss it!!!!!!!!! Here is a bit of an interesting story involving one of the top anime companies in the U.S. Viz Media has recently announced that their company headquarters in San Francisco California will be closed for the next 48 hours due to a flash flood in the area. The company has claimed that the manga at the facility is safe and that they will resume operations once normal operations are restored. That’s all for now, so until next time. Remember that their is a ton of great anime and manga out there all you have to do is find it. Ltrs. Have I got an excellent video for anime remix this week. Do you guys remember the movie Grease, you know the film that launched John Travolta and Olivia Newton John into superstardom!!!!!! Well what do you get when you take Grease and mix it with the popular anime series Azumanga Diaoh, you get one sweet amv. The song is from the famous scene when John and Olivia fly off into the sky in their red convertible entitled We Go Together. Enjoy the video guys and I will talk to you guys again soon. Ltrs. Funimation has recently announced that Evangelion 1.0 You Are Not Alone will not be in the running for the Best Animated Feature Oscar at the 82nd annual Academy Awards. According to The Academy of Motion Picture Arts and Sciences website Oscars.org states that a motion picture shown outside the U.S. can be eligible for the category if it is first exhibited outside the U.S. after January 1,2008. 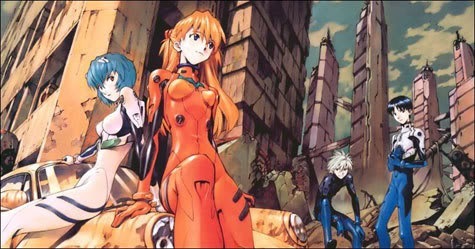 Evangelion 1.0 opened in Japanese theatres back in September 1, 2007 thus making it ineligible for the award. However Hayao Miyazaki’s Ponyo is eligible for the award this coming year because the film premiered in Japanese theatres back in July 19, 2008. I am a little upset that Eva 1.0 will not be in the running for best animated feature. Even though the U.S. release will be coming out next month, if it would have opened in Japan last year I could see it winning the award. But like the old saying goes, their is no use crying over spilled milk. That’s all for now, so until next time. Remember that their is a ton of great anime and manga out there, all you have to do is find it. Ltrs. You are currently browsing the Anime Full Circle blog archives for October, 2009.